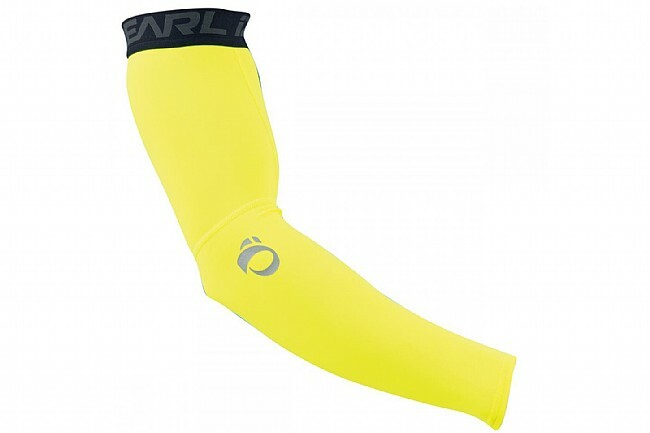 Pearl Izumi's Elite Thermal Arm Warmers are designed to fight the chill when you need them, and pack down small when you don't. This improved design provides more coverage than before with an innovative upper arm and wrist scallop. Very tough to get on (super tight) and then are sized way too long. Weird fit. I wouldn't buy them again. These fit tight, but seem true to the size chart. I have another pair from SugoiI in a medium, but the large has the same fit in Izumi. I'm a big fan of arm warmers. These are great. Not much to differentiate between various makes and models. I mostly bought these for the hi-viz factor. I like 'em. I like PI in general since sizing tends to be better for big guys like me (6'4 195 lbs).